Behavioral Health at the Monsey Family Medical Center, also called Project Ohr, encompasses a diverse array of subspecialties to help you and your loved ones. From rough patches in life to severe mental illness and everything in between, we have the staff qualified to help support you through the emotional challenges life throws your way. Psychiatrists at Project Ohr provide medication support and management in conjunction with counseling. Psychiatrists are medical doctors who can prescribe medication and who are specially trained to understand the inner workings of the brain and how brain chemistry affects moods and emotional and behavioral health. Some psychiatrists are educated especially to treat children, individuals with addictions, and assist in crisis management. Our staff psychiatrists at Monsey Family Medical Center are caring, compassionate doctors who work with children and teenagers, as well as adults. They can prescribe medicine in conjunction with counseling, to help you and your loved ones feel better and get back on track. Marriage and Family Therapy explores the family or the marriage as a whole and engages everyone in the process of healing, and in helping to facilitate better communication for the future. The professionals specializing in marriage counseling and family therapy at Monsey Family Medical Center have years of specialized training beyond general psychological issues. They have a unique insight into the way relationships and family systems work. They will help you and your loved ones get back to effective communication; learn healthy boundaries; and maintain love and respect for one another. The child and adolescent therapists at Monsey Family Medical Center’s Project Ohr see girls and boys ages three through eighteen. With sub-specialties in helping children through anxiety, depression, trauma, abuse and general life events in a variety of languages, our team of professionals are well-equipped to help the children and teens in your life stay mentally and emotionally healthy! Adolescent Therapists are trained to address the special challenges this age group faces, including peer pressure, eating disorders, challenging emotions and behaviors, and life changes. Child and Play Therapists work with young children who have experienced life transitions, loss or trauma. Through play and nonverbal interaction, the therapist helps the child work through their emotions and feel more secure in a world that for them, has become unstable. If you’re here, you’re looking for help- and you’ve come to the right place! The therapists at Monsey Family Medical Center see you privately at your convenience. We are open late and on Sundays! Our individual therapists are trained to guide you through all of life’s challenges. Whether it’s stress related to a job change or move, depression or anxiety that just won’t go away, or more complex and deep-rooted issues such as OCD, trauma, or addiction, we are here to help YOU get back on the road to emotional wellness. It is estimated that AT LEAST one in four Americans experience a behavioral health issue at some point in their lifetimes. These may be related to a certain situation, or rooted in genetics which could indicate that more acute and longer-term care may be needed. It could be anxiety, depression, compulsive eating or gambling, or other personality-related needs. Regardless, you should never feel ashamed or embarrassed to enter individual therapy. it can help unlock a new lease on life for you and help give you the tools to improve interactions with others on a daily basis. Living in Lakewood and working in Monsey gives Moshe Abramczyk the opportunity to experience situations in each city from a fresh perspective. When people struggle with severe life stressors or difficult relationships, it is not uncommon for their lives to unravel. Moshe’s passion is empowering his clients to call upon their inner strengths to effectively overcome their challenges and lead healthy, confident lives. He connects with children, adults and families. Moshe recognizes that no approach is right for everyone, so he has been trained in multiple modalities including Relational Therapy, Psychodynamic Therapy, CBT, ACT, Play Therapy and EMDR. Moshe received his MSW degree from Long Island University in May 2011 and is licensed to provide Clinical Social Work in New York and New Jersey. Gelly Asovski specializes in play therapy with Yiddish and English speaking children and tweens and does parent training as well. She also works with adolescents and adults using a variety of modalities. 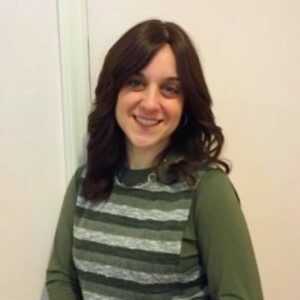 After graduating from NYU in Social work, Ms. Asovski trained in play therapy, sand tray therapy, thought field therapy, energy psychology, and DBT and received certification through Behavioral Tech. More recently, as of November 2012, she has been incorporating EMDR into her practice with wonderful results. Bruchy Brull earned her Bachelor’s Degree from Suny Empire University in Nanuet and a Master’s in Social Work from Edinboro University in Pennsylvania. She has been working for Project Ohr since August of 2016 and is continuously seeking to gain new skills and broaden her knowledge. Bruchy counsels a diverse clientele and provides an environment of compassion where people learn to draw their own strengths to overcome barriers to move forward in life and thrive. Rabbi Aryeh Frankel earned a Masters of Social Work degree from Yeshiva University’s Wurzweiler School of Social Work in 2003. After graduating, he served as the school social worker at the Jewish Foundation School in Staten Island, NY before he joined CMADC in 2004. Rabbi Frankel specializes in individual counseling of children and adolescents, and couples counseling. Rachma Friedenberg received her Masters in Social Work from NYU and is licensed in New York State. She has worked with individuals, couples and families; helping to empower them to tackle life’s challenges in a growth filled, positive way. Building self-esteem through the recognition of one’s G-d given strengths and intrinsic worth leads to healthier, more fulfilling lives. Success is a journey… not a destination. Rachma looks forward to building a working therapeutic relationship. Maria Guillen is a licensed Social Worker who earned her Master’s degree at Fordham University and has over 20 years experience in the field. She has been with the center for over 8 years and specializes in working with children, adolescents, adults and couples. Maria treats depression, anxiety, ADHD, oppositional & defiant behaviors and also provides couples therapy. Sharon Kronenberg earned a Masters of Social Work degree with honors from Fordham University in 2007 and became a Licensed Clinical Social Worker (LCSW) in 2012. She has trained in various modalities including DBT, EMDR, Inner Child Therapy, CBT and Advanced Ericksonian Hypnotherapy. Sharon specializes in working with adults and couples experiencing depression, anxiety, grief and trauma. Dr. Seymour Kushnir received his Bachelor of Science from McGill University in 1971, and his Bachelor of Medical Sciences from Memorial University in Newfoundland, Canada in 1973. He continued at Memorial University for his MD, which he completed in 1975 and then went on the complete his internship at the affiliated hospitals of Memorial University, in 1976. Dr. Kushnir then returned to McGill University for his residency in Psychiatry which he completed in 1982 and the Graduate Diploma in Psychiatry in 1983. Throughout his career Dr. Kushnir has been published in various medical journals and publications and has given many lectures and classes. He has been associate professor of Psychiatry at both McGill University and Mount Sinai Medical School. Dr. Kushnir practices Psychiatry at Good Samaritan Hospital. He is a Fellow of both the American Psychiatric Association and the Royal College of Physicians & Surgeons of Canada. Dr. Kushnir is licensed in New York and is a member of the American Psychiatric Association, New York Academy of Sciences, and the Royal College of Physicians and Surgeons of Canada. Mirel Orlofsky enjoys working with people to improve their emotional health and create a more positive perspective on life and its challenges. Mirel Orlofsky combines over 20 years of therapeutic counseling experience with her training in a variety of treatment modalities to meet people where they are and to better match treatment method with learning style. Mrs. Orlofsky works well with teens (12+), adults, couples, and groups. She uses IFS, CBT, visualization, experiential exercises and psychodynamic therapy to treat short or long term issues of; depression, grief, stress, anxiety, panic, trauma, PTSD, relationship and marital issues, pregnancy, emotional regulation and other life challenges. Mirel builds a caring and safe therapeutic relationship in which one can learn to recognize and rely on their inner strengths and appreciate their intrinsic value. Mrs. Orlofsky earned a Masters of Social Work degree from Fordham University’s Graduate School of Social Service and completed IFS Counselor Training at the Central University of Ct. She has been with CMADC since September of 2014. Mrs. Rothbaum is a graduate of the Weryzweiler School of Social Work and holds a LMSW license from New York State. She is a Certified Family Trauma Professional working with children, teens, adults and seniors at CMADC for more than 10 years. Mrs. Rothbaum published her thesis on the topic of post traumatic stress, and depression in the elderly. She also co-authored the book “Times of Challenge” for Art Scroll Publications, which deals with medical challenges that people face on a daily basis. She has also written many articles on timely issues for the Advocate and presented at community workshops sponsored by CMADC. Languages Spoken: English, Yiddish and Hebrew. Jacob (Zishe) Salamon graduated from Long Islands University in 2017 where he earned his degree in social work . Jacob specializes in working with kids and adolescents helping them cope with their behavioral issues and solve their internal conflicts. Although he utilizes multiple modalities, Jacob puts an emphasis on psychodynamic theory and practice when working with children and families. Pearl Spira earned her Social Work degree from NYU, and is currently working towards her RPT. Her specialty is treating children ages 3-12. She counsels children helping them overcome challenges that they are facing. Her work centers around helping children develop healthy self-esteem in order for them to feel complete and safe. Her strength lies in using a child centered play therapy model by using a non directive approach to counseling. When necessary she incorporates a directive approach to maximize the therapeutic process. Non – Directive Play Therapy is based on the belief that children have an internal drive to achieve wellness, and are capable of directing their own process. The therapist can gain great insight into the child’s inner world by observing his or her play themes and sequences. Pearl’s passion is to gently enter the emotional world of the child to help him or her communicate his or her inner world through the use of toys and play. She incorporates sand tray, as well as other sensory experiences, to help children discover healthy perceptions of themselves while strengthening coping skills and interpersonal relationships. Tzipora Spira has an LCSW degree with over 12 years clinical experience, 7 years of which are at CMADC. She works with girls and women between the ages of 11 and 90. Ms. Spira’s specialties include treating for trauma, abuse, codependency, addiction, anxiety, depression, personality disorders, and adjustment disorders. She uses a combination of various treatment modalities including psychodynamic approach, CBT, DBT & IFS. Ms. Susswein has been at CMADC for 13 years as a staff clinician and now as clinical director. She works with individuals couples and families from ages 12 and up. Ms Susswein supervises staff clinicians and teaches a skill building course to interns and new graduates as well as being part of the staff professional development process at CMADC. Her specialties include bereavement, depression, anxiety, adjustment to life issues, childhood trauma, and parenting. Zvi Weisstuch, MD works with Children, Adolescents and Adults, specializing in Individual, Couples, Family Therapy, Psychopharmacology, Pervasive Developmental Disorders / Autism, Board of Ed. Evaluations, and a variety of other mental health care related issues. Dr. Weisstuch received his undergraduate degree from New York University in 1991, and his Masters in Biological and Physical Sciences from Touro College in 1993. He received his MD from The Technion – Bruce Rappaport School of Medicine, in Haifa, Israel, in 1996 and then went on to complete his internship at Beilinson Medical Center, in Tel-Aviv, Israel in 1997. Dr. Weisstuch then returned to The United states for his residency in the Triple Board Program (Pediatric Medicine, Adult Psychiatry and Child & Adolescent Psychiatry) at Mount Sinai Hospital, NYC, NY, which he completed in 2003. He was Board Certified in Pediatric Medicine in 2004 as well as certified by the Educational Commission for Foreign Medical Graduates (ECFMG). Throughout his career Dr. Weisstuch has been published in various medical journals and received numerous awards, including being selected as Top Psychiatrist in Monsey, NY by the International Association of HealthCare Professionals (IAHCP) and also Teacher of The Year for Medical School Education by The Mount Sinai School of Medicine. Dr. Weisstuch is affiliated with Mount Sinai Medical Center as well as the New York Center for Children as a Child, Adolescent & Adult Psychiatrist. Gila Zelinger has been at CMADC for over 20 years. She works with individuals, couples, and families, from ages 12 and up. Gila is one of our staff supervisors and coordinates groups and workshops servicing the needs in our community. Her specialties include trauma, anxiety, depression, marital issues, and other issues related to the difficulties experienced throughout ones life.